“I look upon all the world as my parish; thus far I mean, that in whatever part of it I am, I judge it meet, right, and my bounden duty to declare unto all that are willing to hear, the glad tidings of salvation.” –Journal, June 11, 1739. John Wesley was taking up field preaching, and he concluded that rather than just one community boundary in which to minister, he would minister to anyone and in all the places in which he traveled. Today I witnessed something incredible. The south side Church of the Nazarene has a long history of ministry in metro-Indy. South Side is a long established congregation but it still has a vison to reach people for Christ. There are approximately 20,000 Chin people from Myanmar formerly Burma who reside on the southern end of greater Indianapolis. 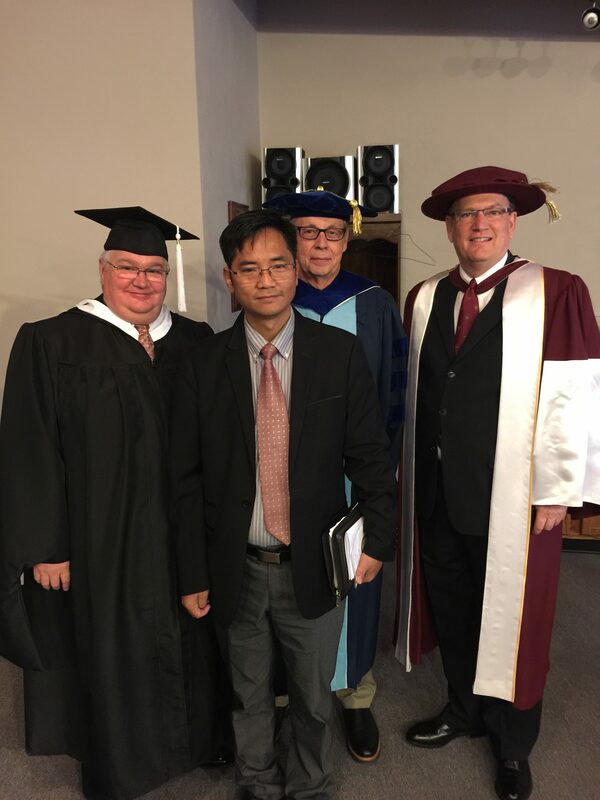 Pastor Ray McCrary and the local church have been instrumental in our districts work with the Chin people. Pastor Steve Rhoades who was then pastoring in Greenwood Indiana was the contact and introduced all of us to Pastor Zozum and helped all of us to catch the dream of what would God have us to regarding ministering to these beautiful people? Thank you, pastor Rhoades for your vision and encouragement. Pastor McCrary and the church have allowed the Chin church to meet in their facilities. The South Side church has started English as second language classes and done much to mentor and encourage the Chin church. The Bethlehem Matu Church of the Nazarene is doing very well. The congregation is mostly young couples, youth and children. God is doing something incredible among these people. God is likewise doing something incredible in the lives of an older established congregation as well. South Side and Pastor McCrary have been generous with their building, time and resources to help develop this new work. 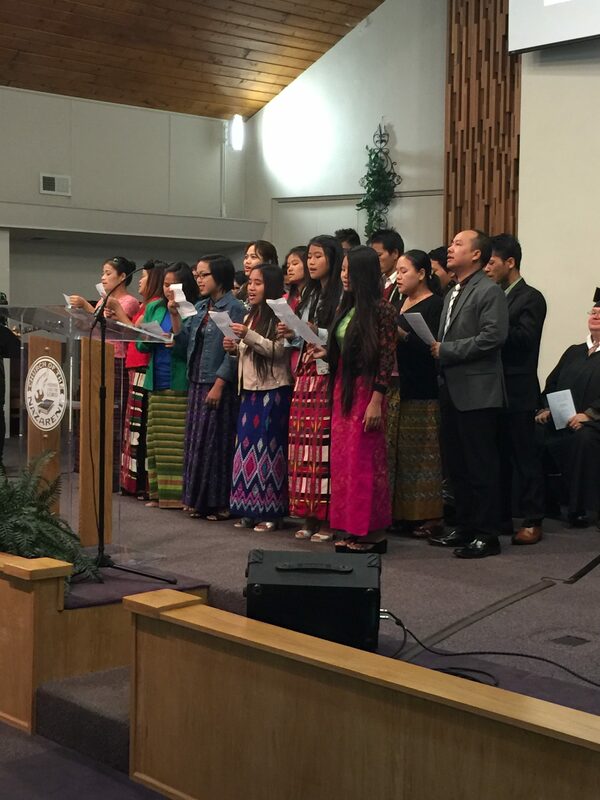 Today two representatives from Southeast Asia Nazarene Bible College were present in the morning worship service. Today on the Indianapolis District we have established a statelite site for this Bible College. We are prayerfully asking God to help us raise up Burmese young women and men to proclaim the message of Christ and the sanctified life. As I was seated on the platform this morning I thought of Mr. Wesley, and I look around the sanctuary and saw people of different races and languages worshipping and praising God. It was beautiful. Let me tell you what it looked like; it looked like heaven! Who is God calling you to reach? Pray for us as we seek to walk through the open door. 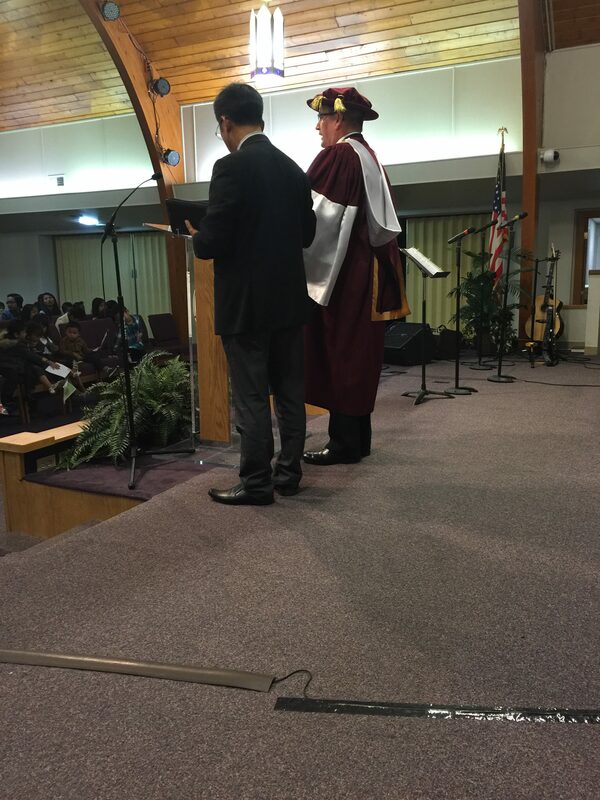 It was was great to have Dr. Gerald Duff and Dr. Carlton Harvey in the service. 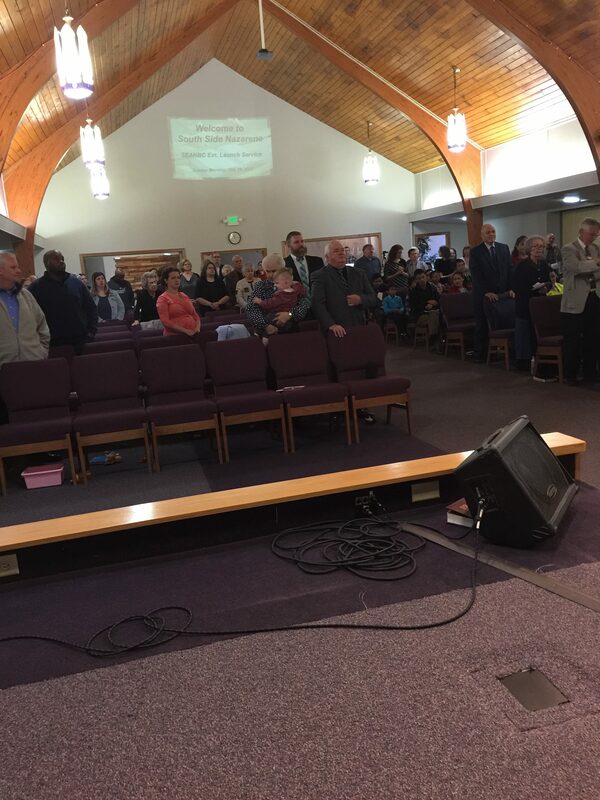 Dr. Harvey preached and both churches fully participated. God is moving!